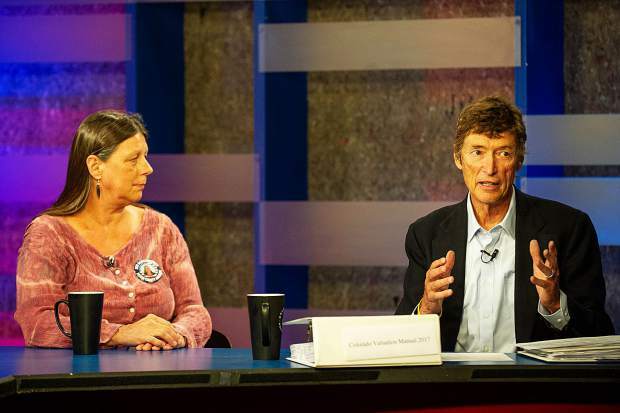 Pitkin County Assessor candidate Mick Ireland speaking at Squirm Night at GrassRoots on Thursday with current Assessor Deb Bamesberger, left. Pitkin County has had one assessor for the past 28 years, but retirement has come for longtime Aspen resident Tom Isaac. Former Aspen Mayor Mick Ireland and assessor employee Deb Bamesberger are vying for the right to fill his shoes. 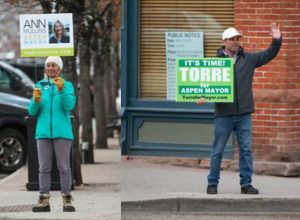 The Aspen Times asked each candidate four questions about the race. 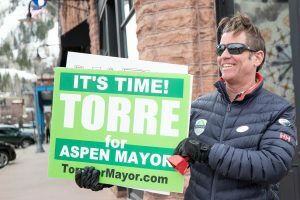 The Aspen Times: Name, age, marital status, children, years in Aspen, profession, political experience. Why are you running for county assessor? My name is Deborah J. Bamesberger. I am married but separated. I have three grown, very successful children. I moved to the Roaring Fork Valley in 1979 and have worked in Aspen since 1984. I lived in Glenwood Springs until 2000 and I have lived in Pitkin County for the last 19 years. I was the first woman lineman in the state of Colorado for the phone company. I became a realtor in 1992. I have my masters in real estate. I have been in real estate for 26 years although my license has been inactive since I was hired on with Pitkin County in 2012 as it is a conflict of interest to sell real estate in the county you are assessing. I also was an escrow officer with Pitkin County Title working with Vince and Joy Higgens and T.J. Davis for about five years in the late ‘90s early 2000s. My current profession is personal property analyst with the Pitkin County Assessor’s Office. I was hired on as part of the administrative staff so I understand all of the internal workings as well as my current job position. This campaign is my first experience with politics. I am running for county assessor because I want our office to remain a professional, courteous, friendly and helpful place. I would like to follow in Tom’s footsteps, keeping current with technology, finding innovative ways to accomplish the job, fair/equitable valuation and keeping the property owners informed/educated on changes in legislation and valuations. It’s been a privilege serving the taxpayers of Pitkin County. I love what I do. For me, being the assessor is not a political thing; serving the taxpayers of Pitkin County is my career. I’m happy to talk with you and always willing to listen. My office will always have your best interest in mind and we have an open-door policy. Michael C. “Mick” Ireland, age 68. No children. Forty years in Aspen on January 9. Attorney/writer/consultant, Worked on many campaigns: Roaring Fork Transportation Authority, Open Space, Burlingame, Helping from the Heart, three terms as Aspen mayor, three terms as county commissioner. 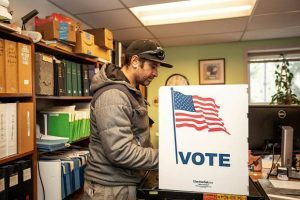 I have been involved as a trained hearing officer for the Pitkin Assessor’s Office for more than a decade and have some good ideas about how to improve the experiences of Pitkin County property owners and the people who work there. Also, county appraisers who worked with me on hundreds of appeal hearings over years asked me to run for office because they thought I was fair to the county and to property owners. Also, I have been involved with county and city land-use decisions since the early 1990s, which will also help me in the job. I enjoy the work and hope to be elected Pitkin County Assessor so I can become more involved. 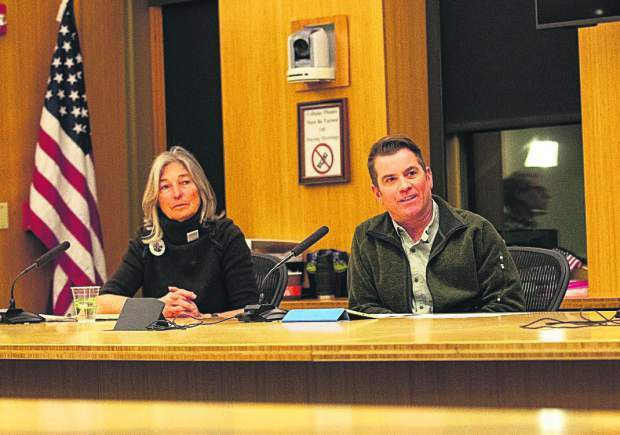 Aspen Times: How would you rate the current state of the Assessor’s Office? What are the biggest issues facing the Assessor’s Office? Mick Ireland: I believe the customer service at the Assessor’s Office is excellent thanks to a dedicated and hard working staff. The Assessor’s Office has, however, fallen behind in technology that is available to improve efficiency and the customer/taxpayer experience. The office can be more efficient if appraisers have the tools they need to operate efficiently, and property owners will have a better experience if the computer systems are updated to be a one-stop experience that links directly to their relevant circumstances. I also think the Assessor’s Office should have downvalley office hours for people living in Old Snowmass, Basalt and the Crystal River Valley. Deb Bamesberger: The Assessors Office is like a well-oiled wheel, everything runs very smoothly. Until you have the experience of working for the assessor, it would be impossible to explain all the responsibilities an assessor is tasked by the state. I have the experience. To assure our taxpayers that the assessor is on top of technology — using the best software that calculates fair and equitable property valuations — we use a program called Eagle Assessor by Tyler Technologies. Many do not know that all assessor offices have to pass an independent audit every year, making sure the assessor is using procedures and principles put in place by the Division of Property Taxation. Our office has never failed an audit under Tom Isaac’s tenure and will continue to pass with Deb Bamesberger as your assessor. The biggest issue I see with the Assessor’s office is if Amendment 73 passes. Amendment 73 sets up a separate property tax system for school district taxes. Literature supporting the amendment claims that only school district property taxes are affected by the changes, and that property taxes levied by other taxing authorities would be unaffected. That isn’t necessarily so. 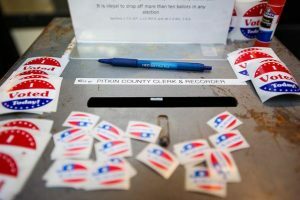 The Aspen Times: What are your priorities if elected? What changes would you make? Deb Bamesberger: My priority as Assessor will be to focus on taxpayers and how our office can continue to serve them fairly, respectfully and competently. I would like to add EagleView Pictometry to our already great software. This is an aerial 3D view of every building in our county. I would make an amazing addition to our office. It extracts data from imagery to digitize manual workflows. This technology helps become more efficient and productive. Our current software from Tyler Tech integrates with Pictometry, so the product is even more powerful. One example is Hurricane Michael. There is an aerial view of all the destruction so the Assessor’s Office can see the destruction without actually having to go out in the field. I would like to see more employees working from home and less commuting. This is one thing I will be working on. Mick Ireland: My priority is to increase transparency, customer access and internal efficiency. I would like taxpayers to be able to access comparable information about their business or residence without having to learn new software skills. Our systems can and should be intuitive and simple to use. A taxpayer should be able to easily ascertain not only property values but the underlying comparisons used in establishing value together with plot maps, zoning information and aerial views of her/his property. But that is only one part of customer service. By updating our internal software systems, appraisers will have more time for customers. Taxpayers who don’t want to spend time on the computer should be able to walk in and get a complete review of the data used in their property valuation. I will also add downvalley office hours to make it easier for residents all over the county to get the information and assistance they need. Mick Ireland: I was arrested for hitchhiking during the Golden Age of thumb travel. The result was traffic infraction fines ranging from $3 to $15. Deb Bamesberger: In 1986, when I was 29 years old, I was arrested for DUI. I was booked and given a ride home. I had to pay a fine, go to classes and lost my license for three months. My charges were dropped to Driving While Ability Impaired. I had stopped for happy hour with a couple of co-workers. I will never drink and drive again. I learned my lesson.